Documents from the #PanamaPapers have revealed another Moldovan businessman with hidden offshore connections: telecommunications executive Gheorghe Nicolaescu. Nicolaescu joined forces with former Prime Minister Cyril Gaburici and Liliana Ilescu, the sister of the President of the Central Election Commission. Some of these companies link directly to wealthy Moldovan businessman and politician Vladimir Plahotniuc. On Nov. 8, 2010, Media Production Ltd., which is active in the field of radio, TV and cinema and is owned by the American company Media Resources LLC (represented by Pavelescu), was sold for 3.5 million lei (US$ 175,000 at current exchange rate). The buyer was OTIV Prime Media BV (Netherlands), represented by Candu. Pavelescu is also the sole shareholder of the company known as Real Radio SRL, whose name is associated with CTC Television Moldova and Super TV. 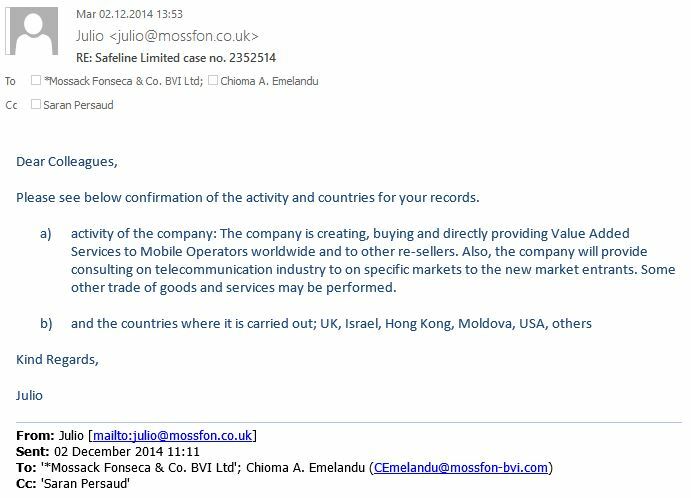 Nicolaescu is the sole owner of the telecommunications company KVK-Moldova SRL (Details, HERE). 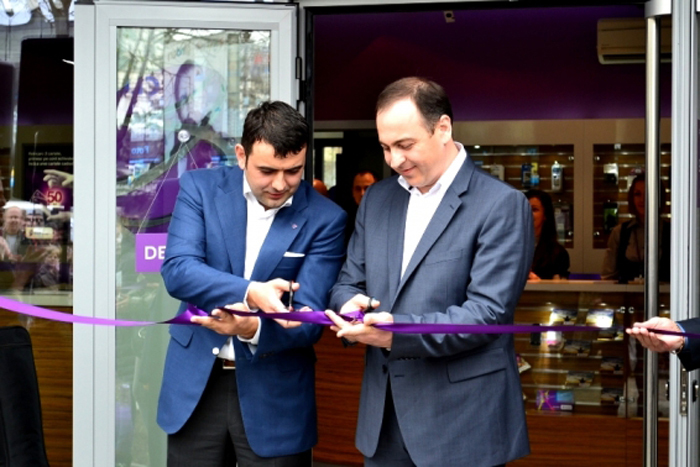 Since 2012, when former Prime Minister Cyril Gaburici, held the position of CEO of Moldcell, KVK-Moldova was a distributor and partner of the mobile operator Moldcell (Details, HERE). According to information from Russian customs in 2013, KVK-Moldova imported satellite monitoring equipment worth more than US$ 40,000 from Russia. 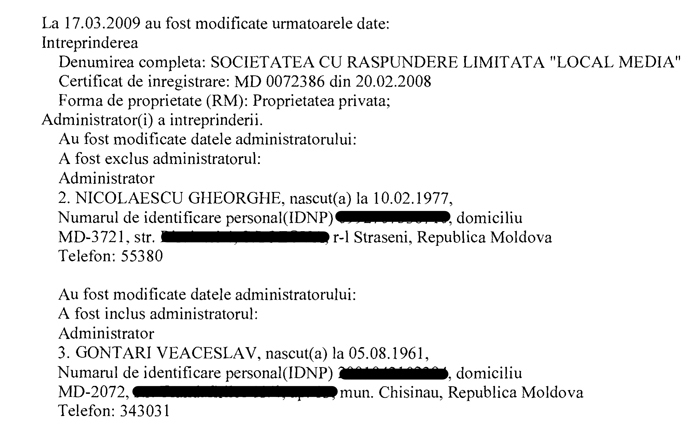 In 2011, there was a transaction between the families of Gaburici and Nicolaescu, when Nicolaescu sold an apartment of 130 square meters in the center of Chisinau to Vasile Gaburici, father of the former Prime Minister. Giness Ltd. presents itself as a technology developer and service provider for mobile telecom. Giness also lists five contact addresses, in Hong Kong, the US, the UK, and two in Moldova.